This article first appeared on This Old Mom. These days we are bombarded with stories of kids bullying each other and doing unkind things to one another. Then someone like Cody Pines comes along and reminds us that there is still hope for our children. Most parents want their children to be kind and caring. We want our kids to stand up for what’s right and show compassion for others like Cody Pines did for his friend. However, not every child knows how to be kind or even values kindness. Therefore, it is crucial that we teach children the importance of being kind and also provide them with opportunities to practice kindness. In this article, I’m going to share with you some ideas on how to teach your child to be kind. 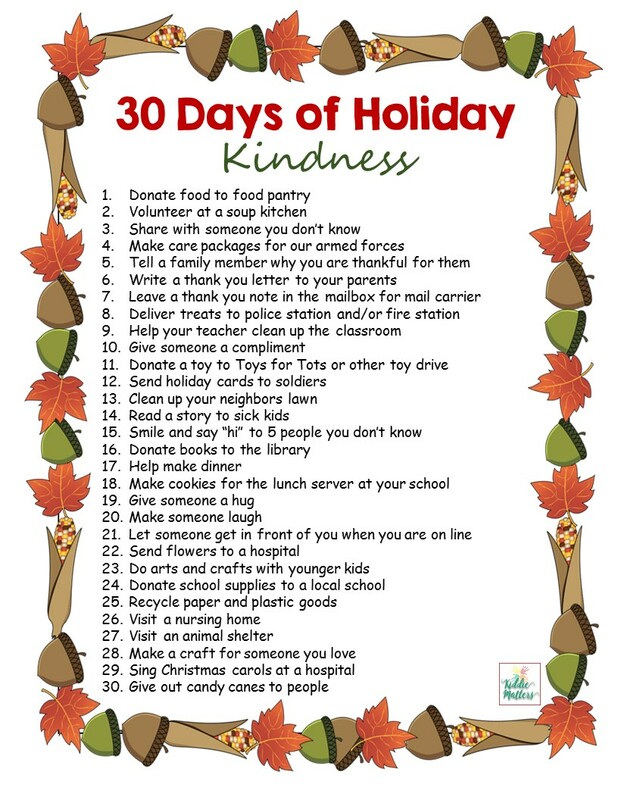 I’ve also included a free printable of 30 Holiday Acts of Kindness Cards for Kids with a tracking journal. Hope you enjoy! 1. Model kind behavior. Parents have a great deal more influence over their children than they believe. Since children tend to mimic their parents’ behaviors, it’s important that your child sees you being kind to other people. Make sure they don’t overhear you gossiping about others. Not only does this send them the message that it’s OK to speak unkindly of people behind their backs, but you also run the risk of them repeating what they heard. 2. Teach your child to value kindness. Many parents tend to put all their focus on their child’s individual achievements and not enough on how their children treat other people. According to Richard Weissbourd, a Harvard psychologist with the Making Caring Common Project, “children need to hear from parents that caring for others is a top priority.” When your child understands the importance of being kind and caring, this becomes the gold standard to which they hold themselves to. 3. Practice being kind as a family. Many times when adults are put in a situation to help others who fall on hard times, they do so in secrecy away from their children. Instead of leaving children out, encourage your kids to pitch in and help out too. This gives them an opportunity to experience what it feels like to do something nice for someone else. Additionally, it also teaches them how to respond compassionately to others. 4. Teach your child to show empathy to others. Being able to show others empathy is a key component to practicing kindness. Children need to know that other people’s feelings are just as important as their own. Encourage them to think about how what they say and/or do affects other people. 5. Practice random acts of kindness as a family. Getting your child to make being kind, a habit works a lot smoother when it is a family affair. Make performing acts of kindness a regular part of your family routine. 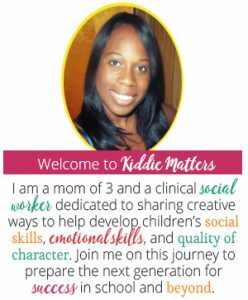 This will reinforce that being kind is indeed a top priority for your family, and it will also give your child an opportunity to practice being kind. How do you teach your child to be kind and compassionate to other people?